Surge protector with 5 rotating outlets to fit large plugs and a 2.1 Amp dual port USB to charge all your electronics. 4' extension cord to put power where you need it most. 2160 joules of surge protection to protect all of your electronics. 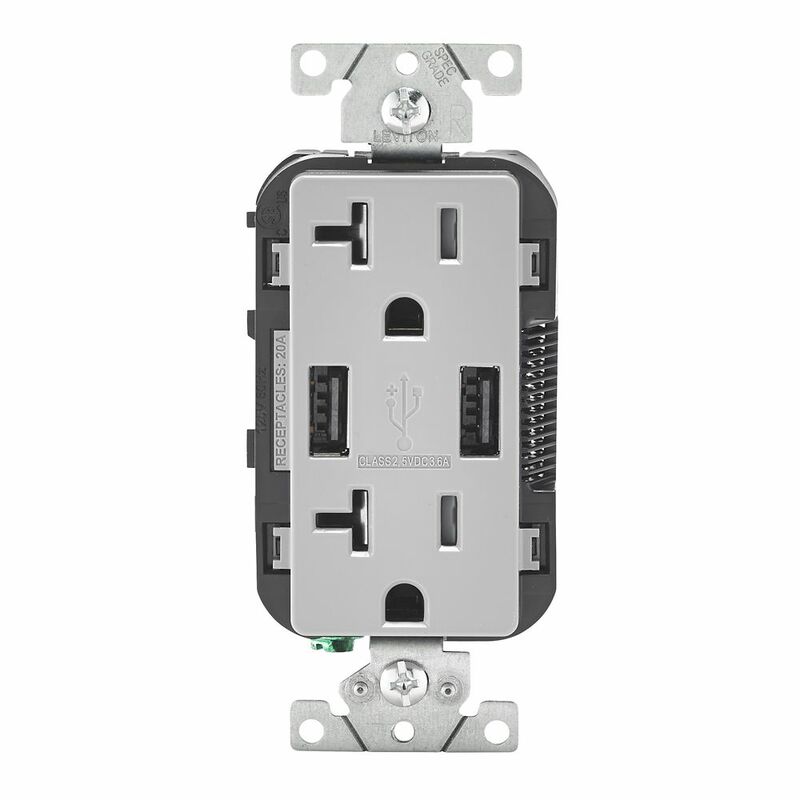 Combination Duplex Receptacle/Outlet and USB Charger is rated 4.5 out of 5 by 2.